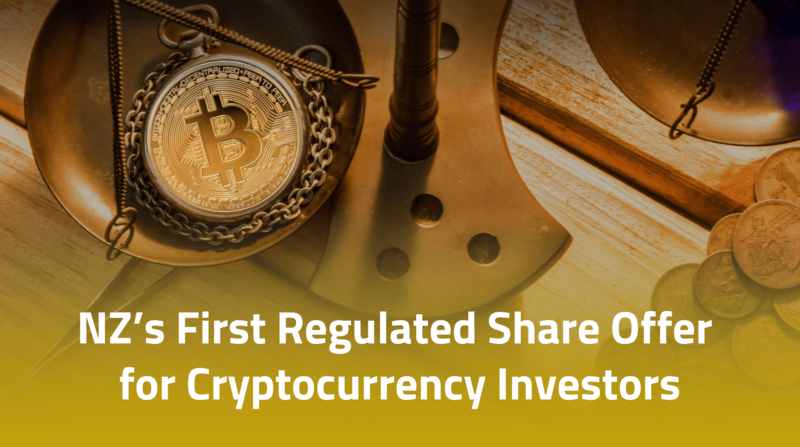 New Zealand's first regulated share offer for a company investing in cryptocurrencies launches. The launch of Crossgate Capital Limited – New Zealand’s first regulated share offer in a company investing in bitcoin and other cryptocurrencies – opens the door to investors who want to invest in this emerging asset class but have previously been too intimidated by the complexity of the technology and various investment options. Crossgate Capital Limited’s Scott Lester said today that BitGo Trust Company has been engaged to hold the majority of our crypto assets because the security of crypto assets should be a major focus for any investor who is investing in cryptocurrencies. “BitGo is a leader in digital asset financial services, processing around 15 per cent of all global bitcoin transactions and $US15 billion per month across all cryptocurrencies. Lester said that Crossgate Capital is the first and only cryptocurrency equity offer of its kind in the New Zealand market. “It gives investors the opportunity to invest in digital assets without having to learn about the complicated nature of the technology or spend a lot of time keeping up to date with the market – removing the complications to invest is what we are all about. “It’s a familiar way for people to invest – in bitcoin and other cryptocurrencies – through shares,” Lester said. “The leadership team is highly focused on strong governance, compliance and ensuring transparency and open communication,” Lester said. Crossgate Capital actively selects a portfolio of crypto assets and continually researches and monitors the performance of each asset. Lester said Crossgate Capital is only permitted to invest in an asset if it has a market capitalisation of at least NZD $500 million – which are the more established assets. “This is part of Crossgate Capital’s risk management approach. Notwithstanding, cryptocurrency has a higher risk profile than other investments and therefore this asset class is not appropriate for all investors. Lester says cryptocurrencies appear to be entering the mainstream as it was recently announced that the first U.S. Pension Fund would be investing in crypto assets. “This follows on the heels of the endowments of Harvard, Stanford and MIT announcing investments into at least one cryptocurrency fund. The new Samsung smartphone, the Galaxy S10, will also include storage for private cryptocurrency keys. “We consider that crypto assets are now part of the financial landscape and therefore have the potential to be an accepted asset class in an investor’s portfolio, alongside equities and debt,” said Lester. Until now the main barriers keeping investors out of cryptocurrencies have been education and security concerns. “For many investors, the question is where do you start if you decide that investing in cryptocurrencies is for you? Crossgate Capital provides that answer. We consider that in a world where growth is increasingly digital, digital assets will increase in relevance,” Lester said. Crossgate was founded to provide investors simple access to cryptocurrency investments through a traditional share offering. 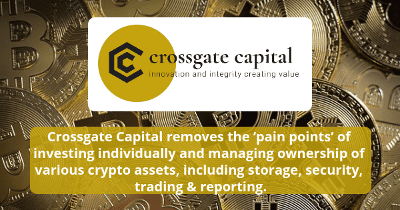 Crossgate Capital’s digital assets are secured through institutional grade cryptocurrency security provided by BitGo Trust Company, which provides clients with advanced cold storage via bank-grade Class III vaults in a secure offline environment. Crossgate Capital Limited is a registered financial service provider (FSP number: FSP649949), allowing it to participate in an FMC offer as an issuer or offeror of financial products. The Product Disclosure Statement (PDS) for the offer is available on the website and on request. The PDS and other useful information is also available atwww.business.govt.nz/disclose, offer number 12554 or visit the visit the Sorted Smart Investor site and review the Crossgate Capital offer documents. Crossgate Capital is a member of a Financial Services Complaints Limited, a dispute resolution scheme. Crossgate Capital’s Share Register is administered by Link Market Services.